Whole life. Whole earth. Whole travel. 1) There are Moai everywhere, and you should see multiple sunrises and sunsets. The island is known, of course, for the mysterious Moai statues built, somehow moved, and then arranged in rows in various locations around the island. 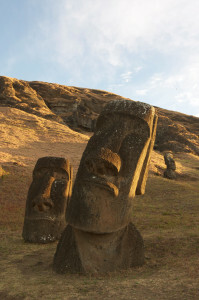 What you might not expect, though, is that there are hundreds more and that most of the Moai are laying down on the ground, having been toppled at one point or another over the centuries. The ones that have been restored upright and in their original displays are absolutely worth extended viewing sessions, especially at sunrise and sunset. 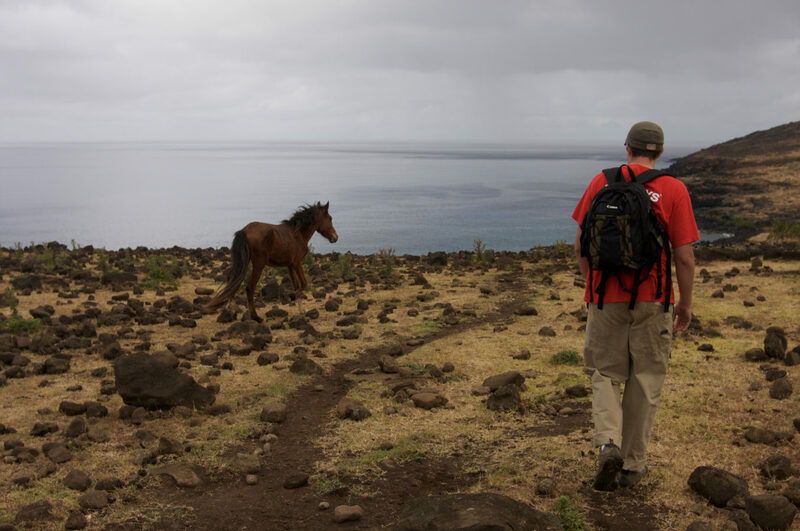 Consider this: you’ve made it to one of the greatest and remotest travel destinations on the planet. Don’t be satisfied with a drive-by photo op in mediocre mid-day light. Take the time to orient yourself with the island’s various Ahus and then plan special outings to sit and absorb in the mystique of the pre-dawn light or the gloaming. Even the statues that are supine can catch amazing morning and evening light. The staid and flat gray lithic figures by day illuminate with pinks and oranges, showing their chiseled features and aged wrinkles as the shadows grow long. 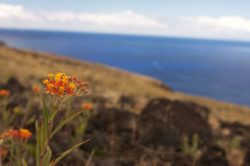 The island has been stripped bare of most of what you would expect in terms of fertility for a volcanic Pacific island. Runoff of waste and silt have destroyed the nearest reefs. Yet the fish here are the freshest you can imagine. Don’t make the mistake of ordering other meats. They simply aren’t worth it. If you do, you’ve wasted a meal. 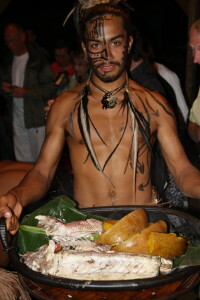 The best way to eat on the island is to go for a dinner show at Te Ra’ai and to enjoy a feast prepared in an Umu. The hosts of this authentic and heartfelt evening will have been preparing a feast all afternoon. Baked slowly by hot volcanic rocks and steamed in banana leaves in an underground pit for hours, you will indulge on seafood, fresh fruits and vegetables lovingly shared between the hosts and guests. 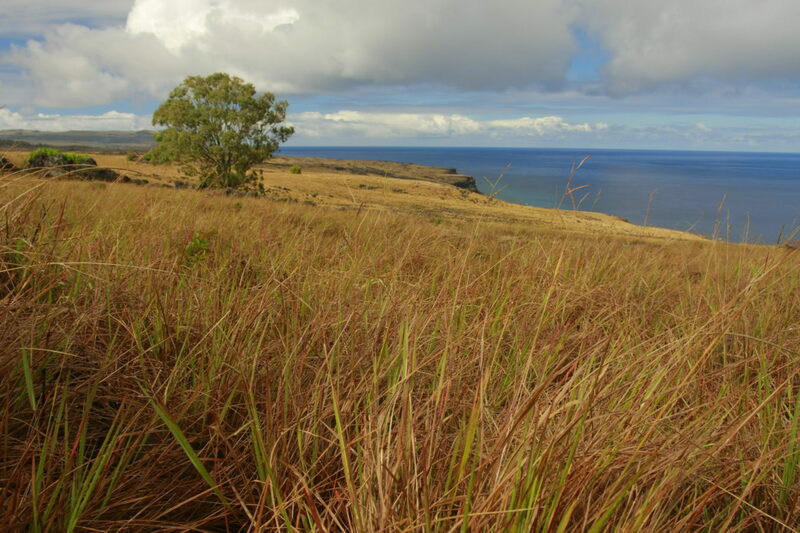 Many Easter Island itineraries only spend two nights on the island…that’s just two dinners! Give yourself more time just for the sake of good eats. 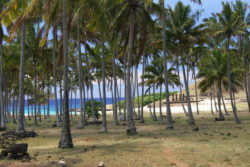 Give yourself the luxury of taking a hike on the remotest part of the remotest populated island. 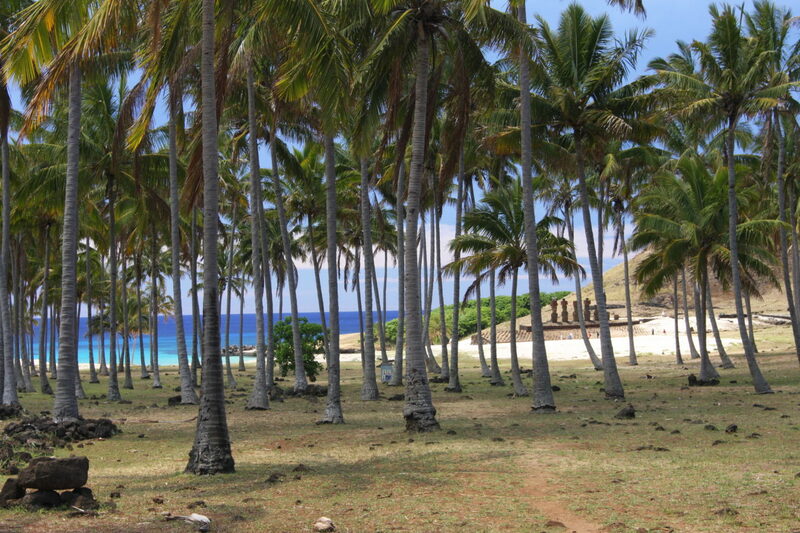 Before you start, arrange for a taxi to pick you up late in the afternoon at Anakena Beach. Pack plenty of water, bug spray and snacks, and wear sturdy hiking boots. Walk north out of town along the western and northern coasts of the island. You’ll spend some time searching for the path, and some time guessing the wrong one – but it won’t matter as long as you keep the ocean on your left. 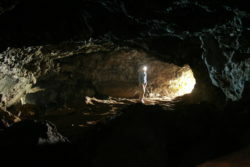 The closer you walk to the cliffs on along the coast, the more likely you will find one of the islands myriad lava-tube caves. 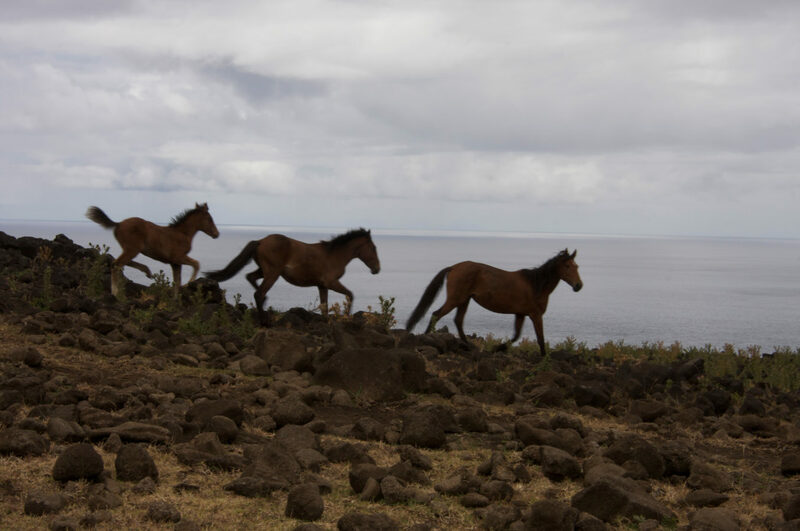 You will scramble across volcanic rocks and bushy scrub the entire time, but you’ll be rewarded with personal encounters with wild horses and hours of solitude (and you may even enjoy a respite from the packs of feral dogs roaming the island as well). 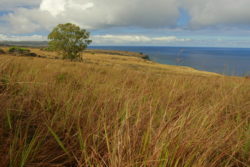 You will also be able to hike along the leeward side of Terevaka, the island’s tallest of three volcanoes, and just about the only part of the island with enough mass to interrupt the trade winds and create its own weather. 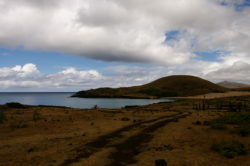 After about 9 miles of moderately strenuous hiking, you will arrive at Anakena beach, a veritable tropical paradise on the northern shore. Feast on some freshly cooked empanadas and marvel at the height of a grove of palm trees – then wade out into the wide open Pacific and soothe your aching legs as you float. You have rejoined the crowds, and your taxi is waiting to take you back for a restful evening before that amazing dinner you’ve planned. 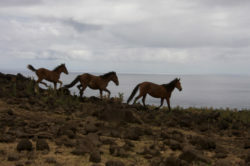 On a typical 4-day, 3-night tour of Easter Island, you simply won’t have the time you need to capture photos at sunrise/sunset and also in the dead of night. That is, unless you don’t plan on sleeping much. But since you’re guaranteed to have at least a few hours of jet-lag from your preceding location – we’re guessing you’ll need some decent sleep. And that’s a shame on a short trip – because a short walk from your lodging will get you away from the nuisance light pollution and absolutely captivated by a Southern Hemisphere star tapestry that hasn’t been affected by ambient light for 2,000 miles. Give yourself enough nights – and spend enough time outside at night to catch a cloudless sky. You can’t help but be humbled at the scale of the Universe, which is on full display here. It helps that you can do this near one of the Ahus and add a truly haunting and mystical aire to the whole experience. Pro tip: assumed to be the last creature standing after a nuclear apocalypse, cockroaches truly prove their mettle on Easter Island. Despite, or perhaps because of the desecration of the island’s natural resources, roaches seem to rule the terrain. This may really creep you out, but it’s worth the challenge. Just find a nice big rock to sit on. Rap Nui‘s southernmost point offers a view of one of the strangest geological formations you will ever encounter. 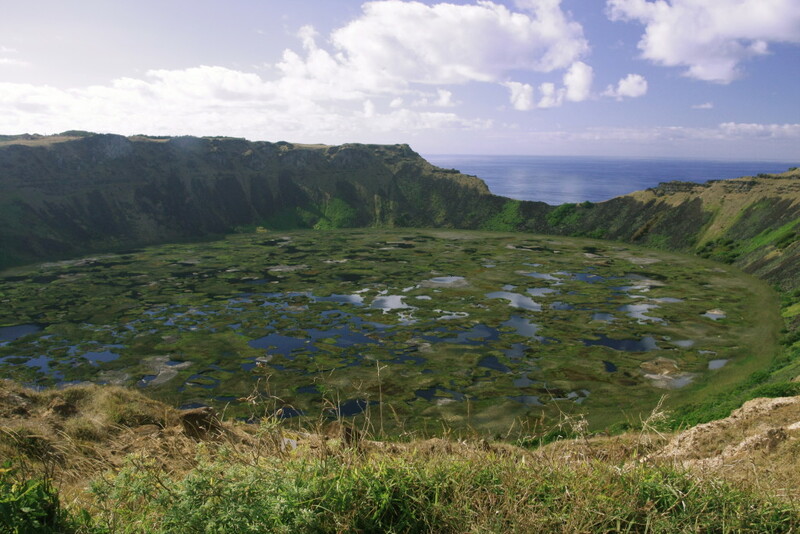 Here you can safely walk to and stand on a knife edge between two-hundred meter cliffs crashing down to the ocean on one side, and an extinct caldera filled with a swampy crater marsh and the one of only two natural reservoirs of fresh water for the island’s 6,000+ residents. Among the rocks on the ledge you will find carvings and small huts and dwellings used during the famed Birdman rituals, which (contrary to recent depictions) did not involve Michael Keaton levitating in his underwear. 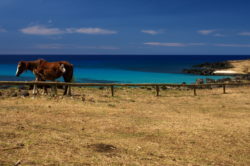 Given the amount of effort that it takes to get yourself to Easter Island – don’t sell it short by taking just a three day tour. 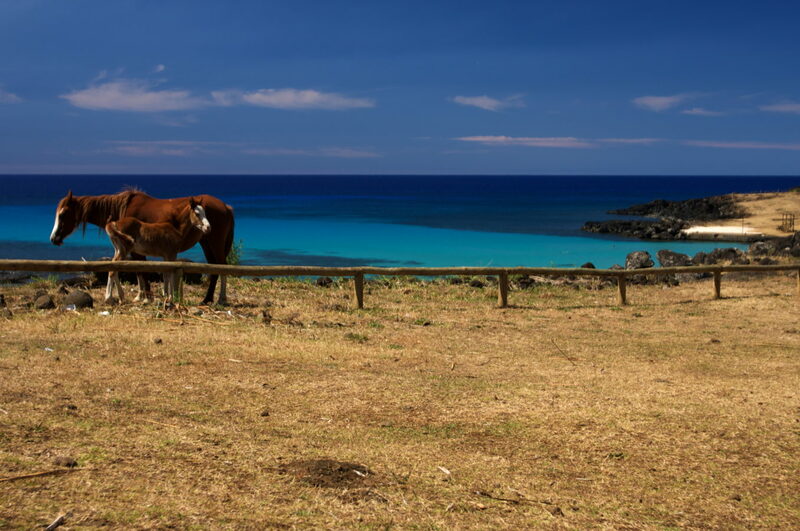 No matter the length of your stay, you’re going to visit artisan markets, the island museum, Anakena beach and the best of the Moai. But, without enough time, you might miss most or all of the above. Plan a 5- or 6-day trip, and this can be truly once in a lifetime. Have you been to Easter Island/Rapa Nui? Is it on your travel list? Share your own experiences and ideas on how to maximize your trip. This has been on my list since I was a kid and Easter Island showed up on Super Mario Bros for Gameboy. It’s really interesting to see the other sights on the island, and I too feel like many days will be needed to get a feel and partial understanding of the island and its people. It’s so small that I can totally understand the thought that it just takes a couple of days to see it. I know it’s far out of the way, and not cheap, so the way I see it is why not extend long enough to not feel like you’ve missed something? This looks great and yeah… I don’t there’s really enough time to really absorb – this is true not just of Easter Island but of any place I’ve visited. The shame is that most organized trips I’ve seen appear to be based on a 3-night stay. That was common when we were there. We stayed 5 nights, and could have used just one more day. 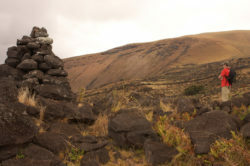 Didn’t have enough time to go to Easter Island on our last trip to Chile. Thanks for sharing what the experience really is like. I can see that we missed out big time…especially on the food. Great story! Thanks! Easter Island is where I learned to love seafood. My Chilean brother-in-law has been trying to get me to take this trip for some time now. Might have to work it into my next Santiago-Patagonia trip. Thanks for the motivation! Absolutely! The place is otherworldly! 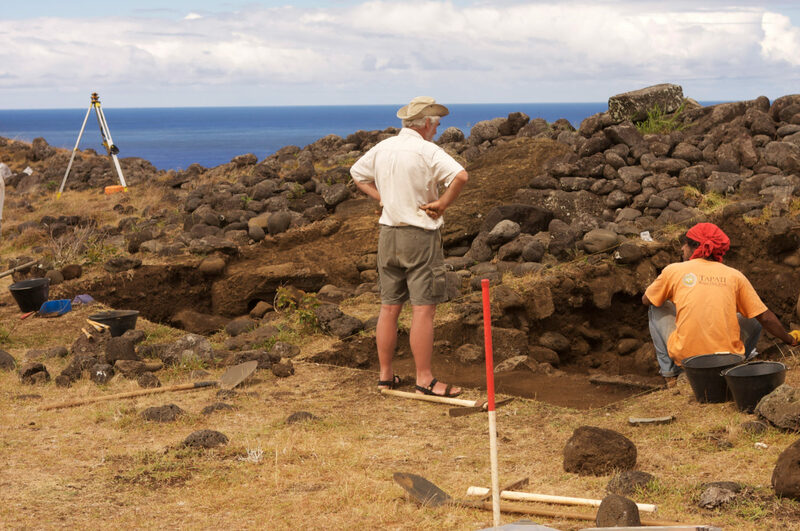 Nice summary & intro to Easter Island. Copyright © 2019 Travelogician All Rights Reserved.